“Founders of start-up companies usually, at least at the beginning, work very closely with each other. In the further development of the company, however, trust between the founders can change. Sometimes it disappears completely, and that is something that often causes the company to fail.” Said Bernard Grum, director of ABC Accelerator, at the beginning of the Primer programme that took place at ABC Accelerator on Monday, 4th March. Maja Jerala, who is in charge for InnEnergy’s activities at ABC Accelerator, presented the programme’s chosen nine start-ups the future possibilities that InnoEnergy offers to energy-based start-ups. One of the most prominent opportunities is taking part in the PowerUp! competition, for which applications are still open. Primer programme represents a pre-acceleration programme of the biggest energy-based accelerator, InnoEnergy, which partners with ABC Accelerator in Slovenia. The main goal of the Primer programme is to encourage innovators from Central and Eastern Europe to upgrade their business skills. This way innovators are able to prepare their companies for taking part in acceleration and investment programmes. Primer programme usually lasts two to four weeks and includes over forty hours of theory and workshops which are led by professional mentors. The topics range from intellectual property and design to agile methodology etc. 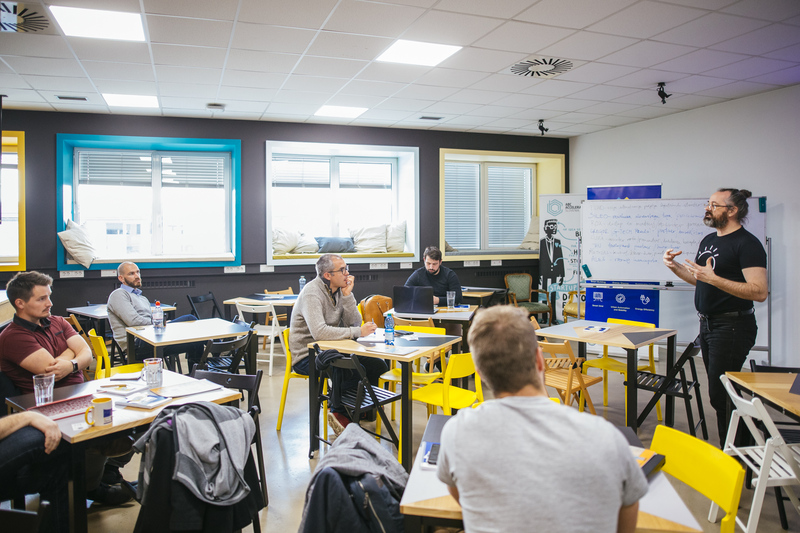 Entrepreneurs who take part in the programme learn how to choose and adapt different business models, the right marketing and sales strategies and about getting funded. Programme also includes perfecting one’s soft skills such as, for example, leadership. Most importantly, however, the programme is tailored to the needs of entrepreneurs who take part in it. In each country that the Primer programme takes place in, it ends with the final event called Demo Day. This final event is conceptualized on the premise that each team presents their idea in four minutes, which is followed by three minutes of questions from the committee and audience. Until the end of the programme, all of the companies that take part in it aim to develop features that are desired by investors. These include a motivational letter, a go-to-market strategy and an analysis of the competition. 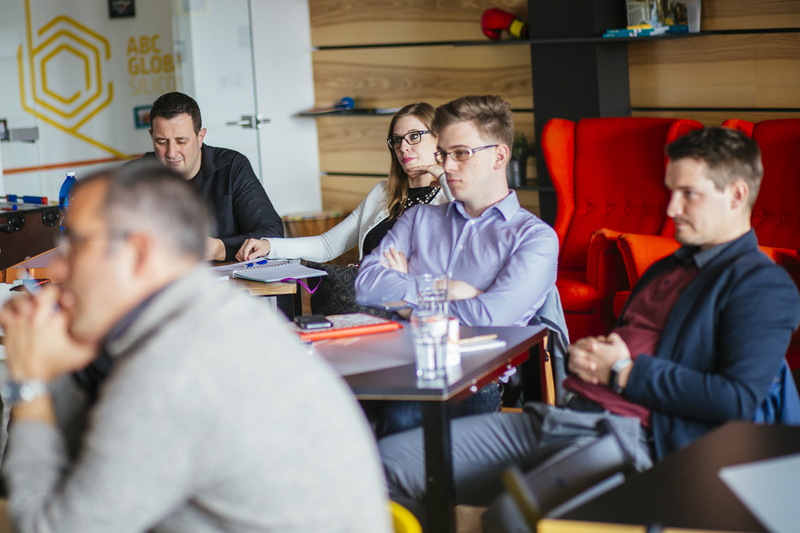 In Slovenia Demo Day will be hosted by ABC Accelerator on Friday, 29th March between 12:00 and 14:00. The final event will be an opportunity for the chosen start-ups to present themselves and their projects. The start-up teams are: Package sender, Sileo, Sleepy Bottle, GTECH Trade, KayInnovations, Nordril. Package sender deals with lowering the costs of logistic processes. Their target clients are companies that wish to lower the costs of sending different sorts of packages. Recently, they developed their web platform, which makes it even easier for one to use their services. Their clients can save up to 70% of the costs of sending packages. So far they deliver over a hundred packages daily. They signed to the Primer programme because they wish to improve the systematisation of logistic services. This Italian-Slovenian team develops photovoltaic roofing tiles. Their patented innovation is so called “red solar unit” which is a roofing tile that works as a solar panel. Their product is as practical as any other construction material and the installation of the unit is as quick as it can be. Their product can be adapted to any type of roof. The frame of the solar panels, on the other hand, is made of high quality plastic that is used in car industry. They signed to the Primer programme because they wish to embrace the positioning of the product on Slovenian market. This way they could get a scalable business model that could be used on other markets as well. Sleepy Bottle is a success story that was brought to the world by a 14-member start-up, led by Rok Colarič and Lenart Grkman. They developed their product with young parents in mind. Many of them have had trouble of getting up at night and preparing formula for their babies. The potential of the product was recognised by Andy Baynes who has had leading positions in companies such as Apple, Nest and Google. Baynes invested in their company and their product is now available in most prestigious shopping centres across Europe, such as Selfridges, Seen & Strom, Magasin du Nord. They signed to the Primer programme because they wish to attract new investors. This start-up is developing modular batteries on the basis of ions of fluorine. This kind of technology has not been used before, since it was only operational at very high temperatures. With the progress of the technology, however, it was possible to use it and KayInnovations took their opportunity with both hands. The company wishes to sell their batteries to the sectors of industry and logistics. Their motto is that “the best way to predict the future is to invent it yourself”. They signed to the Primer programme because they wish to establish a company and become a success story. Start-up Nodril is already cooperating with most notable Slovenian energy companies, especially in the area of electricity trade. However, on German market they are offering a different solution, for example, trading with natural gas for Bayern Gas. One of their most recognisable products is Hedging Studio, with which they guarantee the most optimized selling of energy to small and medium companies. They signed to the Primer programme because they wish to find new innovation partners. They signed to the Primer programme because they wish to conceptualize their idea fully and take it to the next level. How does one carry out a project if a certain community wishes to build a community power plant? To what extent would a certain technological platform help them? These are the questions that this start-up is looking to answer. They signed to the Primer programme because they wish to conceptualize the project and determine whenever it is viable business-wise.